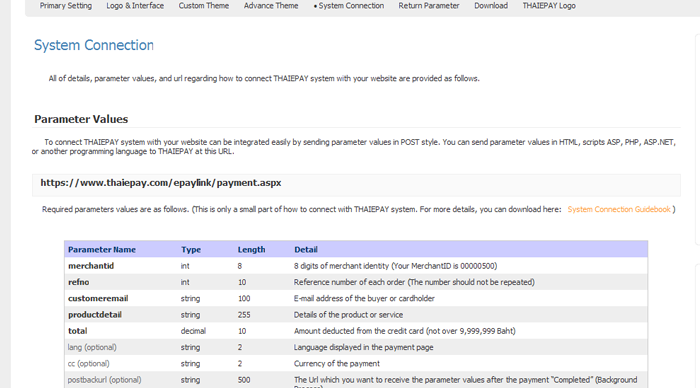 ePayment is a simple credit card payment system. 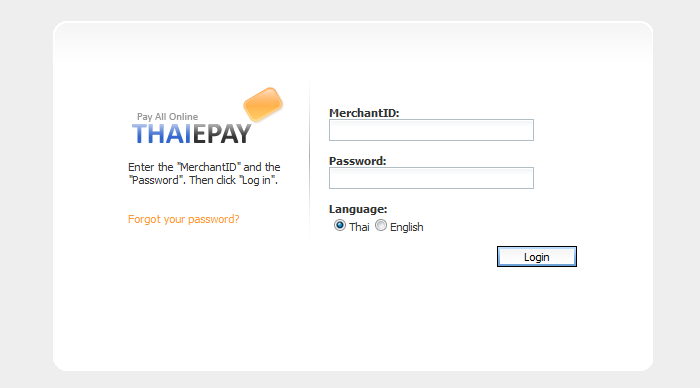 ThaiePay only provides you a payment page which customers can fill their credit card details. 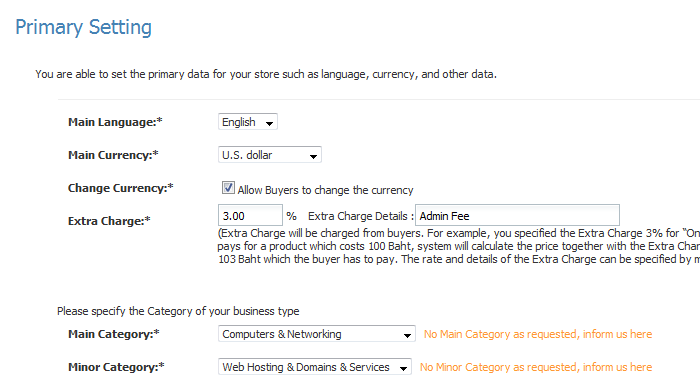 You can connect the payment page with your website directly by sending required parameter values such as prices and Merchant ID. 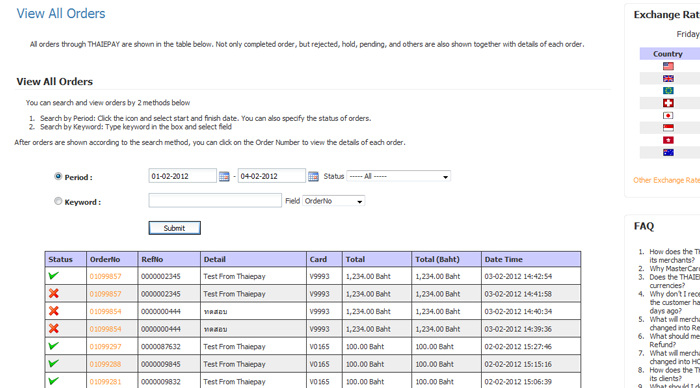 But database of products and customer details, you must create and develop by your side. 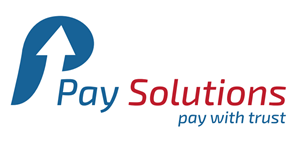 For those who have complete e-commerce websites but look for online credit card payment system, they can connect ePayment system with their websites instantly. You're able to develop both main website and shopping cart system or booking system. Payment interface can be adjusted as you want. Our online control panel system is available for checking payments and your total income all the time. Your website name will appear on customer's credit card statement to avoid any confusion. Customers come to your website and select product they want. After selected the product, system will lead the customers to make online registration and fill some personal information. Once the registration was completed, system will show order details and total amount to the customers before they confirm the order. 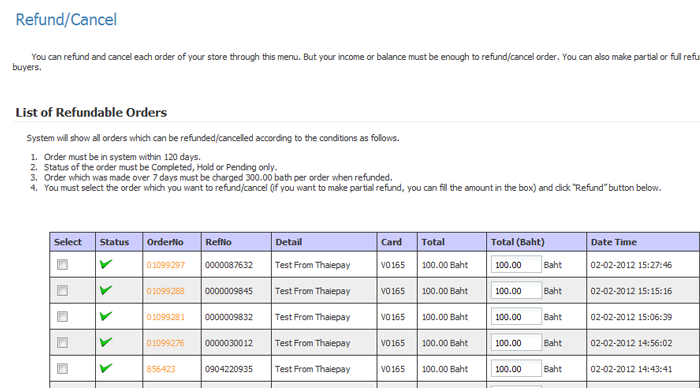 If order is confirmed, system will lead the customers to make online payment by credit card. 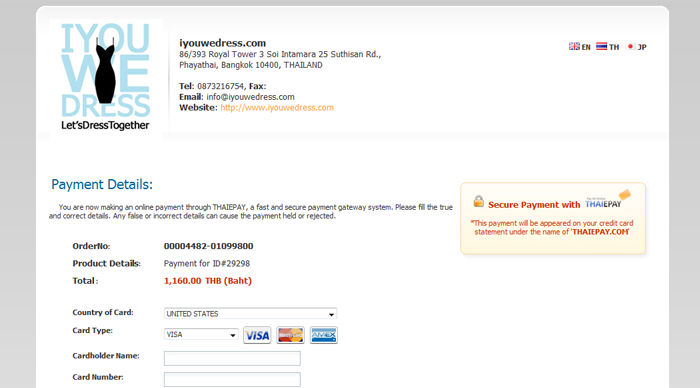 In this process, it will take few seconds to verify and authorize or decline the payment. *If the payment was authorized, system will show “Complete” status and return the value back to your website and also send confirmation e-mail to both you and the customer. ThaiePay system will summarize your income in each month and remit the income after deducting fee into your bank account on the 10th of the following month. 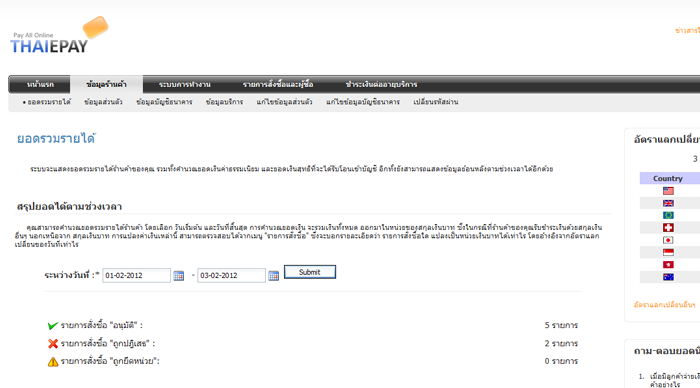 However, ThaiePay has issued additional regulation regarding income remittance. 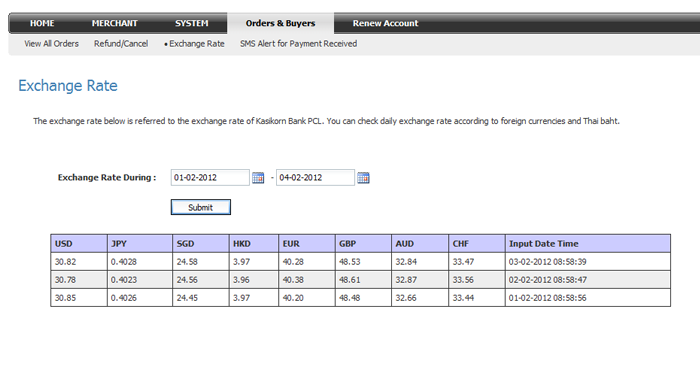 That is to say, you can request us to make income remittance more frequent, semi-monthly or weekly.